According to the latest available data on real estate trends across the nation, Austin commercial real estate currently leads the pack when it comes to the most attractive and popular market investments in the industry today. Due to a range of factors, more prospective home owners are considering Austin as a place that they can settle down in to start families and pursue their careers. According to a report on Austin’s economic data, the city’s current unemployment rate is only 3.50%, which is lower than the nation’s average of 6.50%. The prediction for future job growth is listed at 42.1%, higher than the nation’s average of 36.1%. The recent spike in interest for Austin is not a standalone anomaly. Recent real estate trends have illustrated an interesting rise in popularity in “secondary” cities. In addition to Austin, cities like Seattle and Nashville have also emerged as new real estate hotspots for 2016. In the recent past, the undisputed leaders of the real estate market have been larger, global cities such as New York, DC and Los Angeles. Cities like New York have historically drawn in a large number of recent college graduates and other young adults seeking out employment opportunities. What sets Austin apart from the “young adult meccas” of global cities is its popularity among older and younger settlers alike. 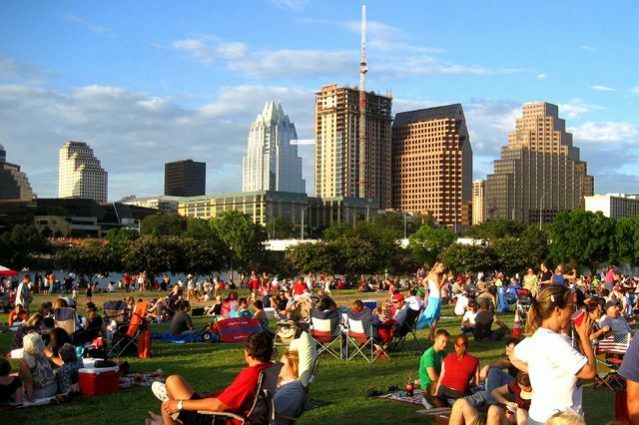 In addition to the high number of jobs available, estate investment experts have determined that Austin has a uniquely diverse appeal that attracts members of multiple generations. Experts have been relatively optimistic about the health of Austin real estate, but there are still concerns related to the future of the market as a whole. While the state of Austin’s infrastructure is relatively passable right now, there are some who have expressed doubts about whether or not it can accommodate even more population swelling if current trends continue. Austin has a reputation for significant traffic, and if more people continue choosing the city as an attractive place to move, the population boom could introduce significant commute challenges.